Ever wish you could just press a button and instantly come down with a case of the heebie-jeebies (or whatever other ailment sounds plausible)? Perhaps you know you have to face someone the next day that you just can't bear to do, you might have an all-important test coming up or even a tough deadline at work. And sometimes you find yourself in such a surreal situation that you honestly don't know if you should run away or just laugh. Now don't you feel better already? The images are calming me down, as is the memory of my caffeine packed breakfast of champions. I think it's going to work. And if not, at least I've had a damn good breakfast! 1. Spread oats and ground coffee onto the base of a large baking tray. 2. Melt peanut butter and syrup together and pour over the oats mixture, stirring to combine evenly (it's okay if there are clumps). 3. Place in the oven at 150C for 45 minutes, stirring every two or three times to ensure even browning. 4. Stir dates through and pour into an airtight container, where it should last for several weeks. *These are sold in health stores as "Jerusalem toffees. If you can't find them in your area, substitute with dried dates and bake along with the oats in the oven. Congrats on the gig! You are going to be AWESOME! I just know it. And yes, coffee is my drug of choice as well. 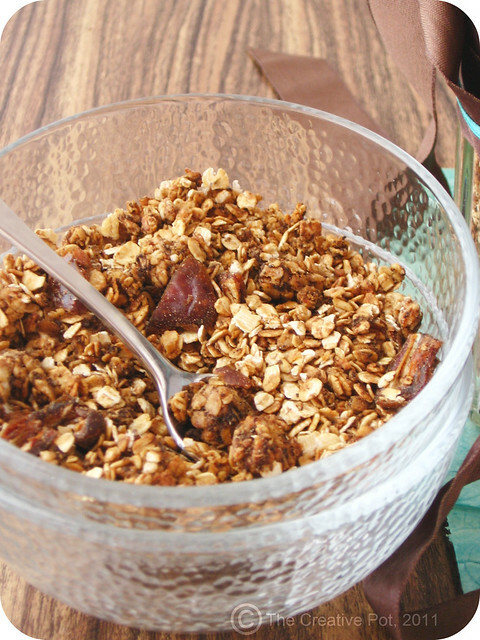 If you have an actual cup along with this granola...I have no doubt that you'll slide on through. Like the ingredients, amazing combination !!! Wow, baie geluk! Sal uitkyk vir jou, break a leg! Cool - Pasella! Sadly I won't be able to tune in from here to see it. 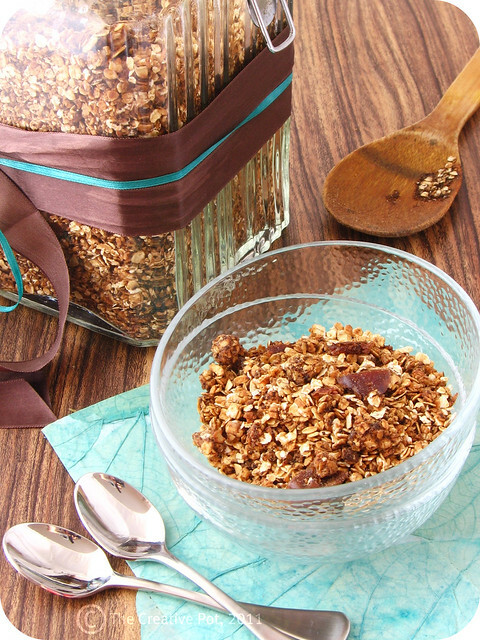 What an interesting granola - sounds fabulous.